AVEG Exhibit Tabs - 5th Cut Bottom, Numbered - Individual Discounts Apply ! AVEG Tabs are white bottom tabs that say Exhibit followed by a number 1-30. CALL for higher numbers. AVEG tabs have the same number on both sides of tab. AVEG tabs are available in individual packages only. Individual packages consist of 25 of the same number in each package. 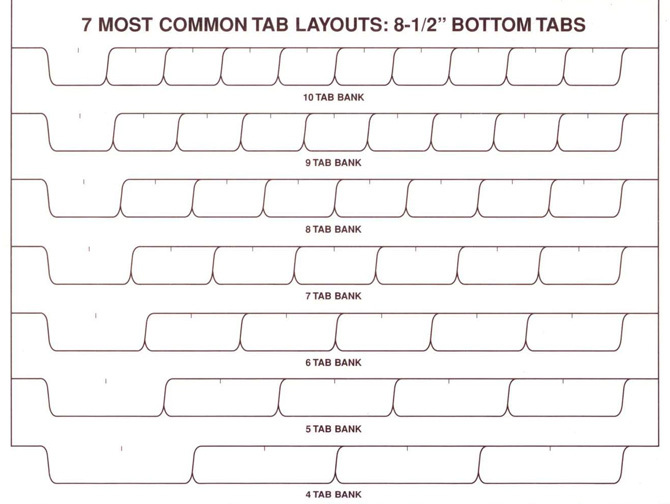 AVEG tabs are available only in white. This item comes stock with no holes punched. Holes can be punched upon request. Sold individually, not in sets.